New York State is prepared to close 40 years of intermittent and costly legal wrangling over the annual destruction of billions of fish by the twin Indian Point nuclear power plants in the productive Hudson River estuary if the plant agrees to shut down during peak spawning and hatching seasons for the river's major fish populations. But such a deal, if ratified, would mean the plants could be shut from 13 weeks to 32 weeks, an enforced idleness which could doom the already stressed financial position of Indian Point, which is having difficulty securing steady customers for its electricity due to increased competition, particularly from lower cost wind and natural gas. The maximum shut down, if required, would close the plant from February 15 through September 15, and would cut Indian Point's revenues by about $9.5 billion over 20 years, or 57%, according to an analysis prepared by Entergy, the plants' owner, for ongoing hearings before a panel of Administrative Law Judges at the Department of Environmental Conservation. The panel will hold a public hearing on the proposed forced outages July 22 in Cortlandt Manor, about two miles from the power plant site. 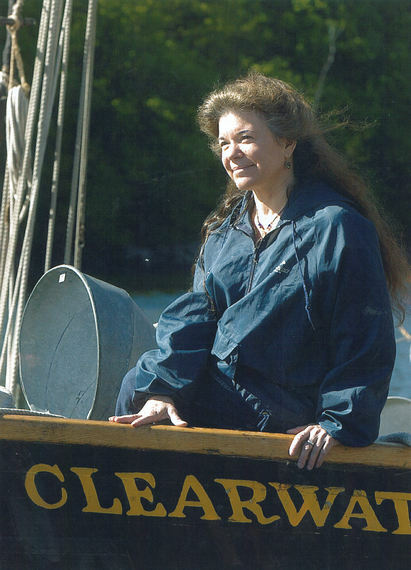 "Permanent outages are a good idea," said Manna Jo Greene, an Ulster County Commissioner and environment director for Clearwater. "But they should start January 1 and end December 31. The state has had the ability to enforce permanent outages for a very long time. We didn't have to lose the shad fishery on the Hudson River. With this proposal, they are closing the barn door after the horses are out. "After working on Hudson River issues for 40 years we are finding that 10 of the 13 signature Hudson River fish species are still in decline. We have long had shad festivals on the river, but for the last few years, the festivals have all been shad-less. The commercial fishermen can no longer catch Hudson River shad. It's a sad state of affairs that should never have been allowed to get this far. Closing Indian Point will be a huge benefit to the Hudson River ecology." Indian Point 2 was built and operated by Consolidated Edison, which has some 4 million residential and 250,000 business customers; and Indian point 3 was built and operated by the New York Power Authority which provides electricity for government entities, including LaGuardia and Westchester Airports, the subways, Metro North, streetlights, schools, public housing, and municipal buildings. Prior to deregulation in 1999, the plants' combined 2,000 Megawatts of electricity was controlled by its respective owners and used in this region. Now, however, ConEd contracts for only 560 MW from Indian Point and NYPA uses no electricity from the nuclear installation in Buchanan, about 25 miles north of Manhattan. Entergy is forced to sell the remaining 75% of its electricity in the daily electric commodity auctions in New York and New England, and not always at favorable prices. That 560 MW represents only 4% of the roughly 13,000 MW used in the New York City/Westchester County service area of the state's electric grid on a typical summer day. 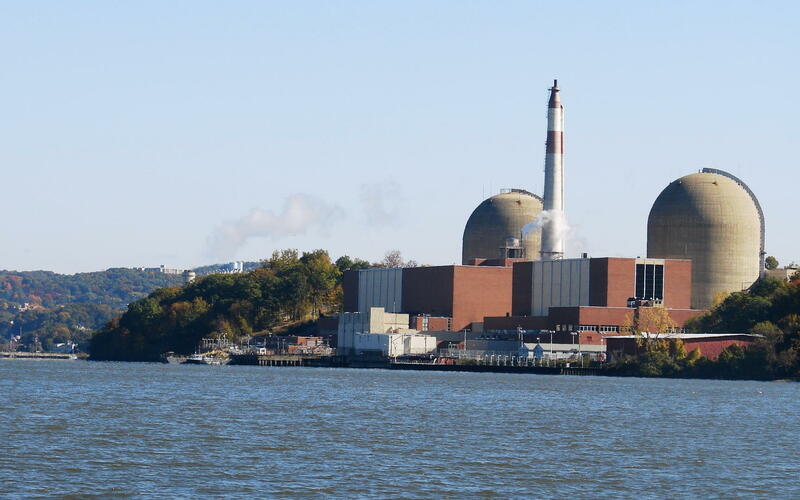 Proponents of Indian Point contend that its electricity is still going to the same users. But NYPA's government customers don't play the daily markets because they operate on tight annual budgets requiring the type of stability only guaranteed by long-term contracts. According to the NY Independent System Operator, which runs the state grid and the electricity auction markets, Indian Point 2 could close with no impact at all on regional electrical needs or system reliability. If Indian Point 3 also closes a shortfall of some 750 megawatts could develop in the ensuing decade unless it is made up with any combination of new generation, improved transmission, and electricity conservation. The state's proposal for protection of the fish, developed by the staff of the Department of Environmental Conservation with the backing of Riverkeeper, the environmental organization, was put forward as an alternative to forcing the company to shift from its current "once through cooling" system to a closed cycle system. With once through cooling, Hudson River water is used in a heat exchanger to cool the steam after it passes through the electricity-generating turbines. The river water is then dumped back into the river, though it is now much hotter. In the course of a year, the plant dumps some 220 trillion BTUs of heat into the estuary -- the equivalent of the heat generated by detonating an atomic bomb the size of the one which leveled Hiroshima approximately every two hours in the middle of the river. In addition, the seven, van-sized pumps used to draw river water though the 40-foot wide intake canal pull in 2.5 billion gallons of water daily -- more than double the 1.2 billion gallons of water used daily by the 9 million residents of New York City and Westchester County. But the pumps draw in far more than water. Even though the plants put screens in front of their intake pipes in 1982, the powerful suction draws in and kills some 2 billion adult and juvenile fish annually, and vacuums newly hatched fish by the hundreds of millions. Closed cycle cooling would require Entergy to construct a mechanical draft system resembling an industrial sized radiator, which would air-cool and then recycle the water. Such a system would reduce water use and fish kills by 95%. The proposed array discussed at DEC hearings this spring would consist of 9 or more "cells" about 170 feet high. To put that into perspective, the containment domes at Indian Point 2 and 3 are each 276 feet high. Entergy has resisted the call for such construction, and its engineering experts testified in May that crews would have to blast through 60 to 70 feet of earth and rock to get to a firm bedrock foundation. The blasting would endanger important electrical systems and relays, which could be triggered by the vibrations of the blasts, which equate to localized earthquakes. Such vibrations trigger "chatter" in which electrical switches open or close solely because of the motion. In addition, much of the ground under the operational part of the 240-acre site is contaminated from intermittent leaks of water containing a wide range of radioactive particulates from some three miles of inaccessible, underground, 40-year-old pipes. Blasting into this slurry would create a range of contamination hazards. Read the full story at Energy Matters.